Mondi Group is an international packaging and paper group, employing over 26 000 people across more than 30 countries. The company's key operations are located in central Europe, Russia, North America and South Africa and its corporate offices are in Johannesburg, London and Vienna. Mondi Group offers over 100 packaging and paper products, customised into more than 100 000 different solutions for customers, end consumers and industrial end users - touching the lives of millions of people every day. In 2017, Mondi had revenues of €7.1 billion and a return on capital employed of 19.7%. The Group is fully integrated across the packaging and paper value chain - from managing forests and producing pulp, paper and compound plastics, to developing effective and innovative industrial and consumer packaging solutions. Sustainability is embedded in everything Mondi does, with clearly defined commitments across ten action areas. Innovative technologies and products can be found in applications including hygiene components, standup pouches, super-strong cement bags, clever retail boxes and office paper. Key customers are in industries such as automotive; building and construction; chemicals; food and beverage; home and personal care; medical and pharmaceutical; packaging and paper converting; pet care; and office and professional printing. Mondi South Africa has three strategic value drivers for its business. These are maintaining a highquality, low cost asset base, keeping a strong focus on performance and the development of its people. 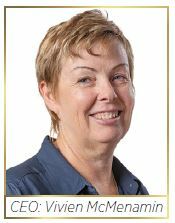 In South Africa, the business manages upstream forestry operations, and manufactures and sells arange of pulp, virgin containerboard, uncoated fine paper (UFP) and newsprint products. The Merebank Mill produces a range of office paper products including the premium South African brand, Mondi Rotatrim. A range of uncoated woodfree reels for the South African and sub-Saharan African markets are also produced. Uncoated woodfree paper is produced using fibre from responsible wood sources. fibre, and Baywhite, a white top kraft linerboard. Both Baycel pulp and Baywhite linerboard are FSC® Chain of Custody certified (SGS-CoC-000359; License number FSC-C017573), giving to customers the confidence of using products that are produced using wood from certified responsibly managed forests. 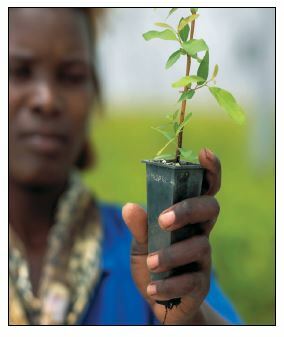 Mondi owns and manages one of the largest Forestry Stewardship FSC* certified plantation units in the world. The internationally recognised FSC* accreditation recognises that the plantations are managed in a responsible and sustainable manner. In the forestry business, the modernisation of operations has been a key focus in recent years. Mondi is dependent on low-cost timber from sustainably managed forests. Research activities focus on increasing the resistance of trees to pests and diseases, improving their ability to withstand drought conditions and increasing the rate of growth and yield. Mondi places great importance on proactive and responsible stewardship of forests as well as fresh water ecosystems and maintaining biodiversity and habitats. Responsible forest management involves increasing long-term productivity and preserving ecosystem values in rural landscapes, and protecting high conservation value areas such as wetlands. 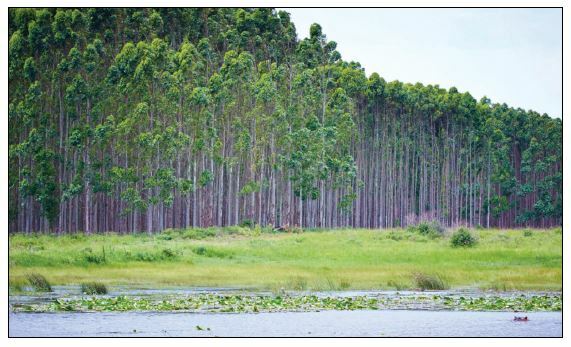 Mondi's South African forestry operations works with WWF South Africa (WWF-Mondi Water Stewardship Partnership) and Stellenbosch University (Mondi Ecologic Networks Programme) to design a robust ecologic network for plantation forestry landscapes. Another important area is the development of people. This is evident in the consistently high level of training in all operations. Mondi's wider community investments continue to assist and empower schools, university students, forest smallholders and entrepreneurs, as well as provide healthcare and support. Mondi is a global integrated packaging and paper Group with a dual listed company structure - primary listing on the JSE Limited and premium listing on the London Stock Exchange.